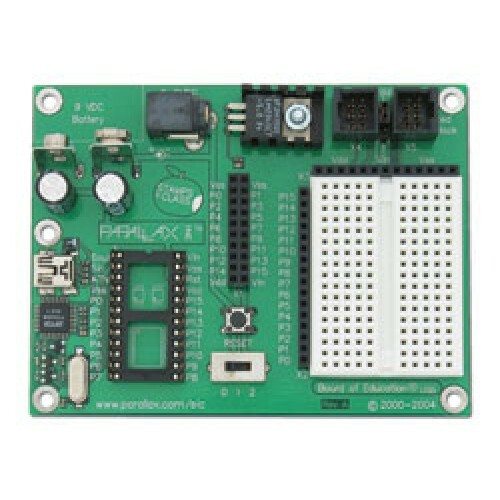 The Board of Education (BOE) was originally designed in coordination with our educational customers to teach microcontroller programming and this remains today as the most popular application.. Even if you aren’t using our SIC curriculum, the ease of use and expandibility make the BOE an ideal project board for BASIC Stamp microcontroller experimentation. With the included a handy power switch and a servo jumper, it surpasses the features of previous BOE versions. Board of Education programming board does not include a BASIC Stamp module so you will need to purchase one separately, which matches your needs.